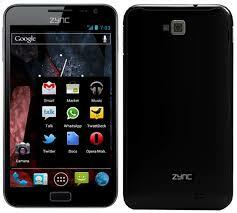 Zync is a Indian based mobile phones and tablets producing compnay and it is brand of Zync Global Private Limited. It is a manufacturer of smartphones and tablets. Its provide different models in tablet such as Zync Z99 3G Tablet, Zync Z777 Tablet, Zync Dual 7i Tablet, Zync Z900 Tablet, Zync Z99 2G (4GB), Zync Dual 7 Plus Tablet, Zync Z81, Zync Z18 Tablet (WiFi+4GB), Zync Z909 Plus Tab, Zync Z1000 Tab (8GB), Zync Z930 Tab (4GB), Zync Z999 Plus Tab (8GB), Zync Z919 Tab (4GB), Zync Cloud Z605 Dual Core Calling Tab, Zync Z990 Plus Tab (4GB), Zync Z99 Dual Core, Zync Dual 7.0 Tab (8 GB), Zync Rainbow, Zync Q8 (4GB), Zync Z909 Tab and many more. Zync tablets is available on Flipkart.com, Snapdeal.com, Amazon.in, Shopclues.com, Paytm.com and many more e-commerce site. You can contact on Zync Mobile customer support number +91-120-4821-1999 (Timing 10:00am to 06:00pm, Mon To Sat).